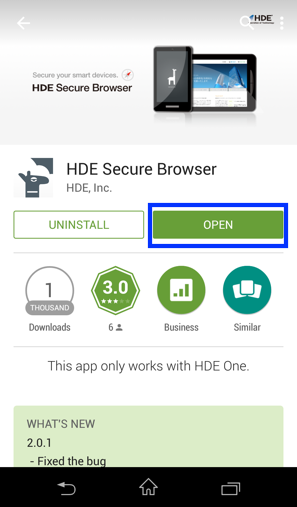 This article consists of the instructions on how to correctly setup HENNGE Secure Browser so that it is fully functional on your Smartphone environment. After completing this setup, you will be able to start using the features of HENNGE Secure Browser such as Information Protection, Device Security, and Leakage Prevention. 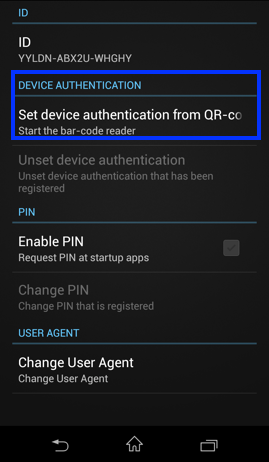 For Android user, install a QR Code Reader App on your Smartphone device. ☆ 1 - First, head to the corresponding app store of the operating system of your smartphone (iOS: App Store/ Android: Play Store). 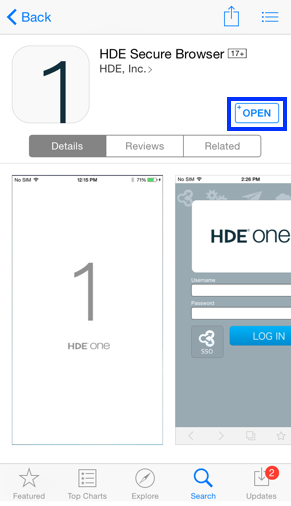 Search with "HENNGE Secure Browser" and you will be able to find it as shown as below. ☆ 2 - After the app is being installed, open up the browser and you will see the interfaces for both operating systems as shown as below. ☆ 3 - In the app, go to (iOS : "Settings") & (Android : "Preferences"). 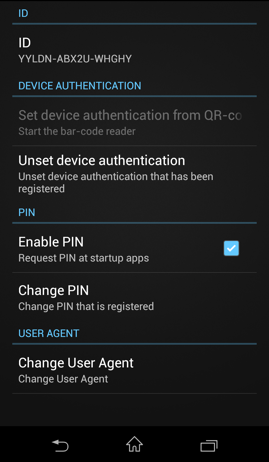 ☆ 4 - In the Settings/Preferences interface, (iOS : Enable PIN Lock) & (Android : "Enable PIN"). 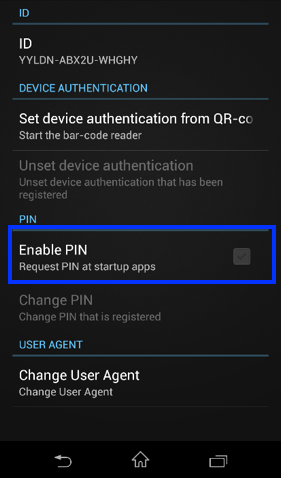 After enabling the PIN, you are required to configure a desired PIN that will be requested to unlock the app every time the browser app is being launched. 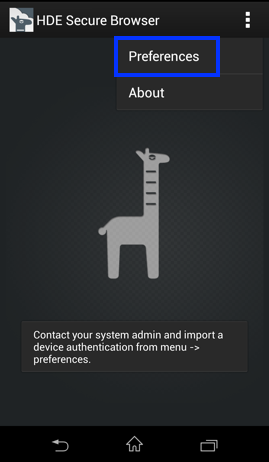 ☆ 2 - In the Access Control User Console, Click on the "HENNGE Secure Browser setting". 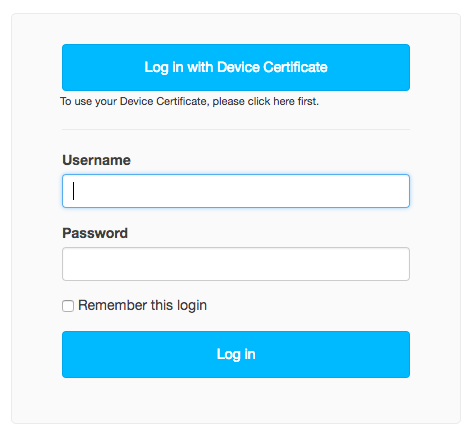 ☆ 3 - Click on "New device authentication". 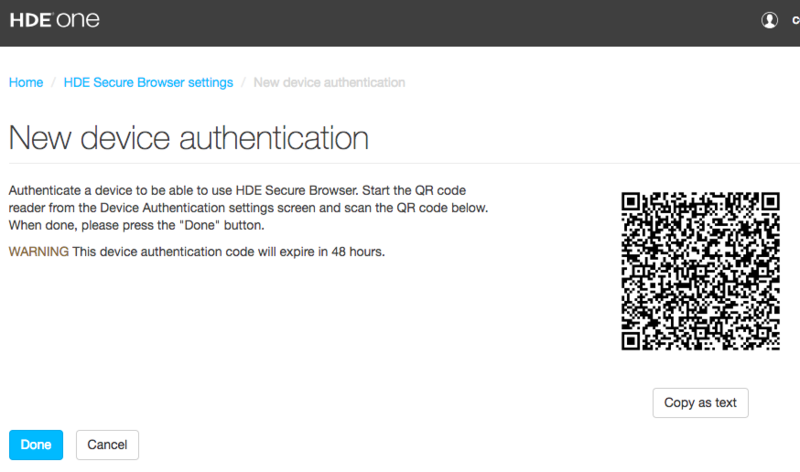 ☆ 4 - You will be able to see the QR Code for device authentication for your HENNGE Secure Browser as shown as below. 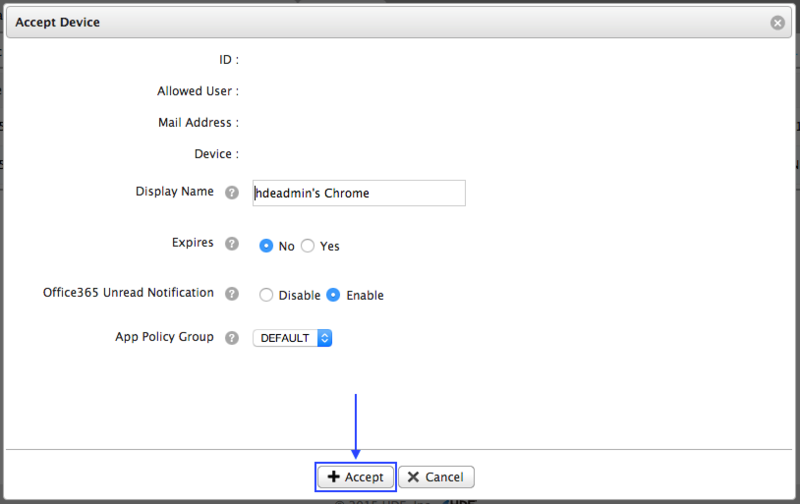 ☆ 5 - Return to the browser's Settings/Preferences interface, click on "Set device authentication" as shown as below. 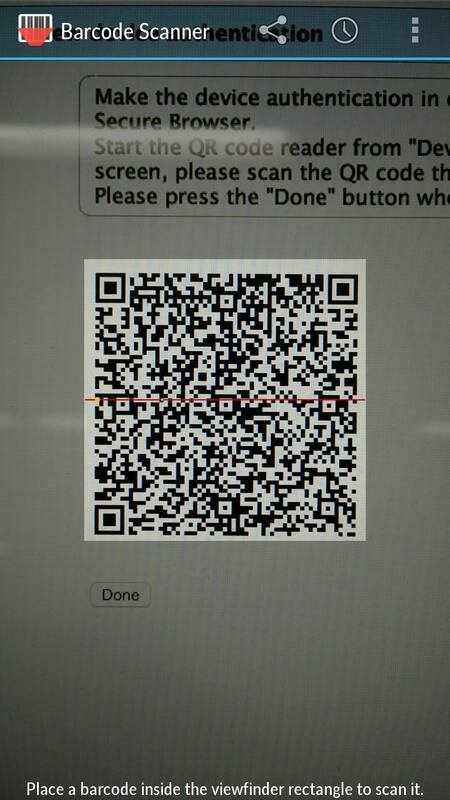 ☆ 6 - The installed QR Code scanner (Recommended:Barcode Scanner) on your smartphone or tablet will be automatically launched to scan the device authentication QR Code as shown as below. After the QR Code is successfully being scanned, you will receive a success notification and you shall then wait for the admin's approval. 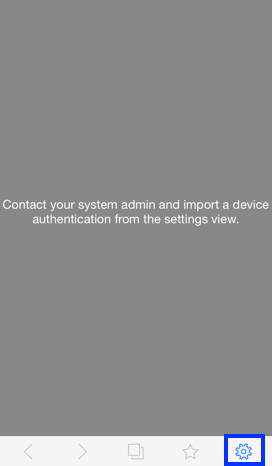 ☆ 7 - Return to the Access Control User Console's "HENNGE Secure Browser setting", you will be able to see the device that you have just request for admin's approval and now it is listed as a device that is waiting to be authenticated. 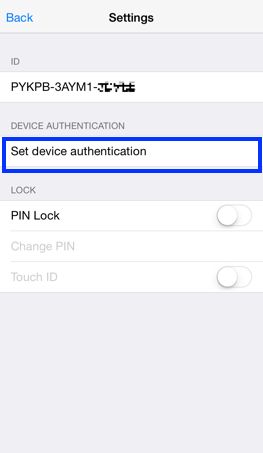 ☆ 2 - First, in the Secure Browser settings, click on "Authentications". 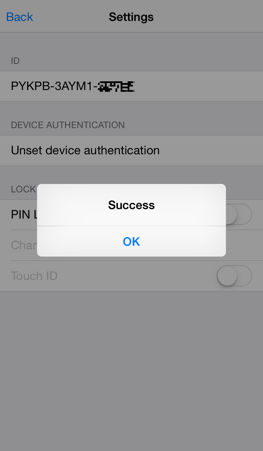 Then, find the device that you want to approve and click on "Accept". ☆ 3 - Confirm the approval process by clicking "Accept". 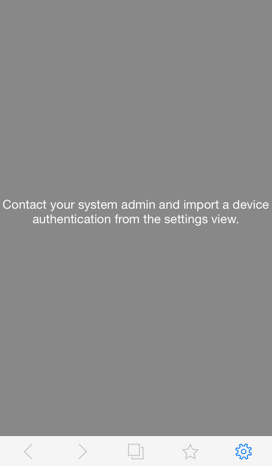 ☆ 4 - After the admin has accepted the request, the user can now log in to the Access Control User Console and the approved device will be listed as "Authenticated device". 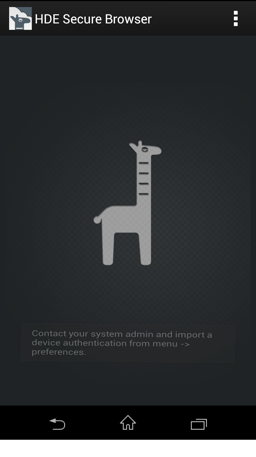 Which also means the browser app is now fully functional and ready for the user to log in to the services.